Check out the stats and preview below to see who are the top teams and individuals to watch in the meet. 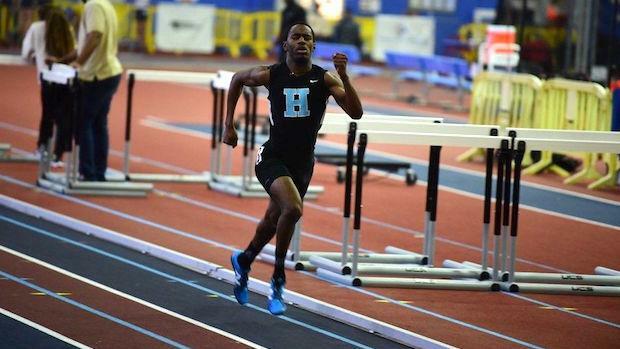 The Howard High School boys are the projected team favorites with a well balanced squad that can score points in the sprints, distance, relays, jumps, and throws. Potential individual champions on their team include Maxwell Myers in the 800 (1:59.18 season best), Eric Okoye in the high jump (6-2 season best), and Collin Greene (44-10.25) in the shot put as the county's top season best performers in each event. Teams who will be chasing Howard and best chances at over taking them for first in the team standings will be Reservoir, Mt. Hebron, and Atholton. Reservoir has one of the top individual boys athletes in the meet in senior Talon Campbell who is one of the state's fastest in the 300 meter dash (35.73) and 500 meter dash (1:06.41). Campbell and Howard's Myers should be a great matchup in the 500 potentially. Mt. Hebron is a relay centric squad with the county's fastest relays in the 4x400 (3:35.64) and 4x800 (8:34). Atholton has a solid jumps crew led by triple jumper Kamau Richardson and the fastest 4x200 (1:33.85) in the country. 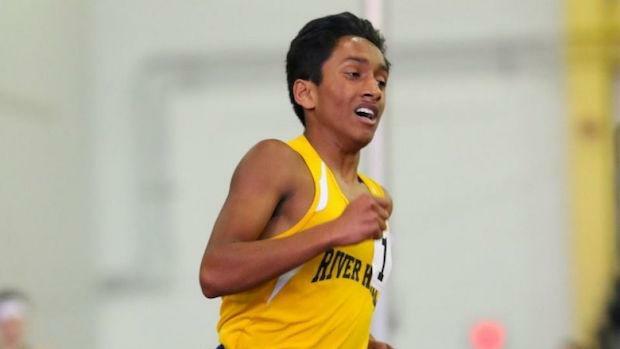 River Hill junior Anish Nanjappa was the 2A state cross country champion this past fall as well as indoor state 3200 champ one year ago and will be looking to be a double county winner in the 1600 and 3200 meter run, but watch out for Long Reach sophomore Cameron Hindle who is coming on strong as of late including a 4:28 PR just last week in the 1600. In the hurdles, Hammond's Loick Amouzou ranks among the state's top 10 fastest in the 55 meter hurdles with his 7.72 season best, but will be closely challenged by Wilde Lake's Osida Smith (7.74). Expecting a very exciting and tightly contested team battle for the Howard County title between Reservoir, Atholton, and Mt. Hebron. All 3 teams are projected and capable of scoring over 100 points at the county meet. With the exception of throws, Reservoir is strong and well represented in virtually all other disciplines. 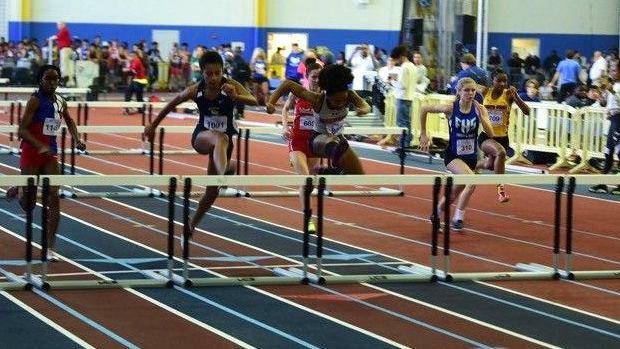 Their top individual athlete is defending 3A state 55 meter hurdles champion Adaobi Tabugbo with a season best time of 8.47 as the overwhelming favorite and could have two more teammates joining her in the hurdles finals with Katherin Paris and Kimayah Faye. Reservoir also is strong in the relays with the second fastest 4x200 (1:46.37) and 4x400 (4:08) in the county, and fastest 4x800 (10:33). Annabel Cortez is the team's distance runner and potential top 3 finisher in all 3 distance races. Atholton excels most in the field events as they potentially could have an individual champion in 3 of the 5 field events with Cassidy Bunyard in the high jump (5'2" season best), Morgan Nasir in the long jump (17'5" season best), and Madison Garrigus in the pole vault (9'6"). Mt. 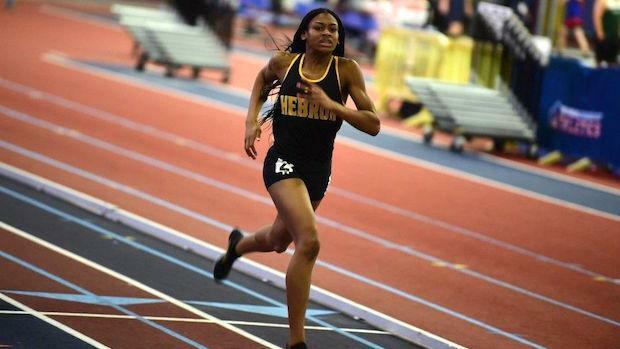 Hebron has the best sprint crew in the county with the likes of Sierrah Matthews and Jaiden Ritter as each has the inside track to be a county champ in the 300 and 55 meter dash respectively. Matthews could win the 300 and 500 meter dash, while Ritter is capable of being a county champ in the 55 and 300. The 300 should be one of the featured races when throwing in their former teammate and past county champion in Sydney Robinson of River Hill. 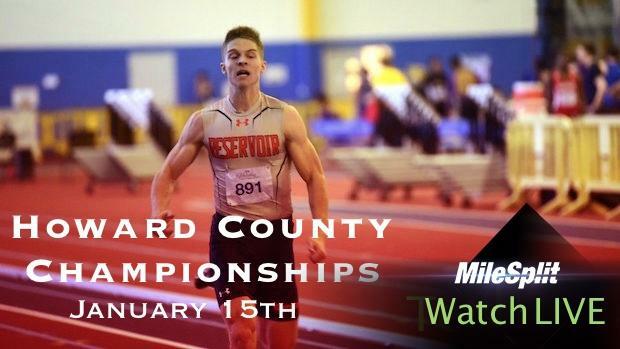 Their 4x200 (1:42.10) and 4x400 (4:02.92) meter relays are also Howard County's fastest featuring both sprint stars. County record in the 4x200 could be in jeopard after their recent sizzling performance at the Hispanic Games. 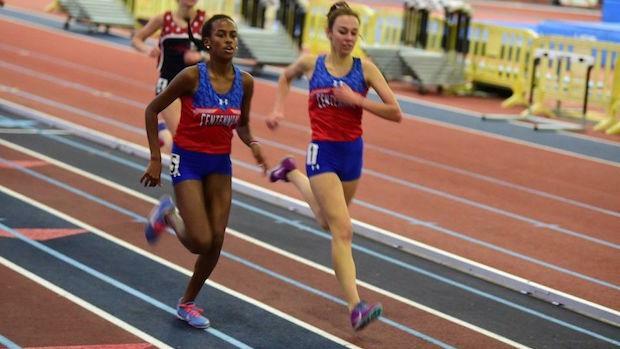 The Centennial girls could sweep the distance races with the likes of Allison Betler and Cora Blount having run the fastest times in the 3 distance events. Betler has run 5:23 in the 1600 and 2:26 in the 800, while Blount has a 11:42 season best in the 3200. Their 4x800 meter relay also is capable of going sub 10 minutes if they load up. The girls shot put features the state's #3 ranked thrower in the event with Chinenye Iloanya and her season best mark of 38'11.25". She is the reigning 4A state champion in the event.